A new month begins and a new set of promotions emerges from Lock Poker – this time enabling players with limited budgets to share more of the money. 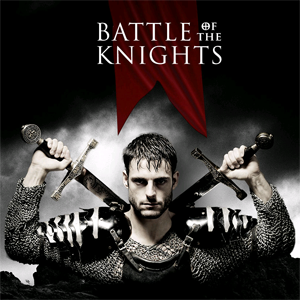 One of the biggest changes to affect players on Lock Poker this month is the Battle of the Knights rake race. The new rewards structure has 58 levels to achieve throughout the month and allocates a larger number of prizes to those who achieve the lower levels, while leaving the full-time grinders to battle over the higher levels. With rewards starting at $2.00 for the first $10.00 raked in September, everybody has the opportunity to get their hands on a prize. A new addition to the rake race is a Knights of Skill Leaderboard competition. Divided into two to give tournament players an equal chance of winning a prize, the top 10 Knights of the Ring Game and top ten Knights of the Tourneys will all win prizes ranging from an Apple TV to an iPad 3 64GB Wifi/3G and be entered into a freeroll tournament in which the winner will win a full package to the Aussie Millions Main Event. The two feature weekly tournaments will continue with their enhanced guarantees and bounties – the big one being a $110K guaranteed event (noticeably under-subscribed in recent weeks) where you pick up a bounty of $500.00 for knocking out Annette Obrestad (Annette_15). The second Sunday feature is a superstack $80K guaranteed tournament with a bounty on the other darling of Lock Poker – Melanie Weisner (Callisto). Both events have satellites running throughout the week or you can use VIP Points collected in the pursuit of a first deposit/reload bonus to buy in directly. Lock Poker also host a freeroll on a Saturday night which offers 110 free seats to the $110K feature tournament to the last 110 men (or women) standing. To qualify for the freeroll, players have to earn more than 250 VIP Points in the previous week and, with 1 VIP Point awarded per $ raked at the cash tables and 7 VIP Points awarded per $ paid in tournament entry fees, this is a very popular event among the Lock Poker regs. Lock Poker´s 200% match first deposit/reload poker bonus up to $4,000 continues to run throughout September. This is great news for any players with smaller budgets who were limited in how much they could deposit when they first opened their Lock Poker accounts, as the opportunity exists to top up your account and get some free poker money from Lock Poker. With all of these promotions this month it should not be a big surprise that we putted this poker room at the top in our list of best US poker sites. 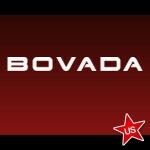 It is also great news for any online poker players who have not yet tried the Lock Poker experience. See you at the Lock Poker tables!